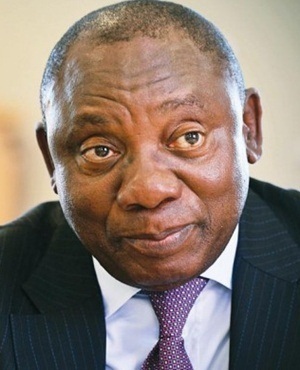 Cyril’s choice: Treasury gives the president clear direction…will he take it? Near the back entrance to National Treasury’s headquarters on Church Square in Pretoria, there has been a succession of changes to the portraits hanging on the wall. Last February it was Pravin Gordhan and Mcebisi Jonas smiling next to a portrait of then-president Jacob Zuma. A year later it was President Jacob Zuma grinning next to Malusi Gigaba and Sifiso Buthelezi, and on Wednesday it was Ramaphosa next to deputy finance minister Mondli Gungubele. 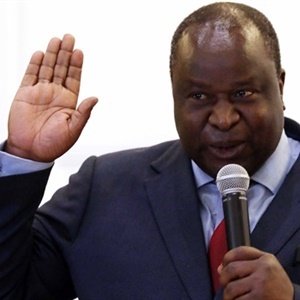 Tito Mboweni, the minister of finance, is so new to the job his official portrait hasn’t even been hung on the wall. Treasury has been in the wars for years as ministers and their deputies have come and gone, but its message to political leaders has remained steadfast and consistent: the economy is not growing enough, policy uncertainty is hurting us and poor governance and corruption will be our undoing. When Gigaba tabled his one and only national budget in February, the Ramaphosa presidency was little more than a week old. Word was that the new president had a strong influence in the crafting of the message Gigaba delivered in his speech, and there was a sense of optimism that the change of guard from the corrupt Zuma government would buoy the economy. The optimism of February has been replaced by the harsh realities of the post-Zuma South Africa in October. Ramaphosa has no room to manoeuvre and no time to waste before he needs to make some hard decisions. Treasury’s budget documents paint a grim picture of a weakened state forced to borrow more while getting poor returns on investment. Almost every single indicator has worsened since February while Treasury’s language makes it clear the problems South Africa are facing is one of governance and implementation, not of fiscal and monetary policy management. Whereas state-owned enterprises were in the past identified as the biggest risk to fiscal stability (due to the mounting debt of SOEs like Eskom and SAA) the medium-term budget policy framework now also fingers municipalities as a "serious fiscal risk". Municipalities simply aren’t paying their bills, which threatens to compromise basic service delivery, Treasury says. In the coming year 113 municipalities (out of 255) adopted unfunded budgets, which means they commit to spending money but don’t know how they will pay for it. And almost 80% of municipalities’ debt is owed to Eskom and the water boards. SOEs remain an enormous headache for Ramaphosa. There almost isn’t one single SOE that is not dependent on extended and expensive government guarantees. Eskom and SAA remain a drag on the state’s balance sheet. Treasury – more than once – advises that the "restructuring" of SOEs might improve sustainability and profitability. Surely Eskom and SAA cannot survive in their current form and shape? But if poor governance and non-performing and expensive SOEs poses problems for Ramaphosa, then a massive public sector wage bill, driven upwards by unions in alliance with the governing party, presents a major issue for the ANC leader. Treasury bluntly says the agreement reached this year exceeds the medium term budget framework and that there is no more funding available for further increases. It already accounts for 35,2% of all government spending and is driven by large wage increases and improved benefits. The working theory has been that Ramaphosa is waiting for the election to strengthen his mandate before he makes fundamental changes. The last eight months, however, have seen the economy weaken. He doesn’t have time for waste and he can’t wait for the election. The president is going to have to choose between party and state. And he is going to have to do it now.